Throughout the year, the Town, along with other community organizations, offers opportunities for the community to come together and make a difference. These projects and fundraisers are wide ranging so please use this page to find an opportunity that best fits your passions and abilities. Spring Planting Day – The Town holds a Spring Planting and Beautification day as well. The date for this event varies so please check back to learn more. Jonathan Creek Clean Up – In the past, Town officials have joined together with Citizens, Business Owners, and other Volunteers to clean trash out of Jonathan Creek. The Town will be scheduling this event during Haywood Waterways’ “Big Sweep” Event. Please check this site for scheduling dates. 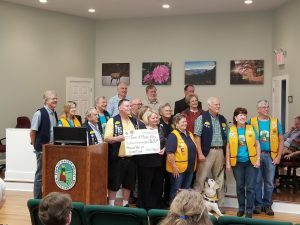 Maggie Valley Fall Clean-up Day – Volunteers met Saturday, September 8th 2018. “Commission for a Clean County” Volunteers cleaned along Soco Road in preparation for the fall decorations and beautiful fall colors. Gloves, safety vests and bags for collected garbage are provided for volunteers. Clean-up Days are held in spring and fall. Please check back here for updates on the next opportunity! 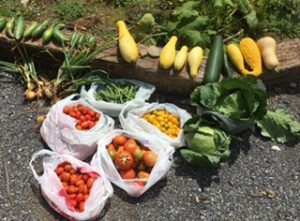 The Maggie Valley Community Gardens – Back in 2014, long-time Maggie Valley resident, June Johnson, had an idea to provide fresh, organic produce to needy families in Haywood County. 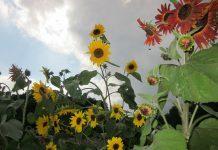 With her determination and with the assistance of area churches, dedicated volunteers and the Town of Maggie Valley, the Maggie Valley Community Gardens took shape and grew. are beehives with bees busily making golden honey. help of businesses like Subway, Organic Beans and Mountain Mike’s, we have plenty of ingredients to feed our compost process. been picked, with over 600 lbs of potatoes dug for distribution. 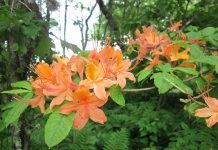 enjoy being outdoors in beautiful Maggie Valley. Maggie Valley Lions Club is collecting unneeded eyeglasses. Prescription glasses, old ‘readers’ and even sunglasses are accepted. In addition, hearing aids and old cellphones are needed. Please drop off your items at Town Hall in the Lions Club Collection box in the foyer. If you have any questions, please call Bill Chamberlin at 321/246-3667. 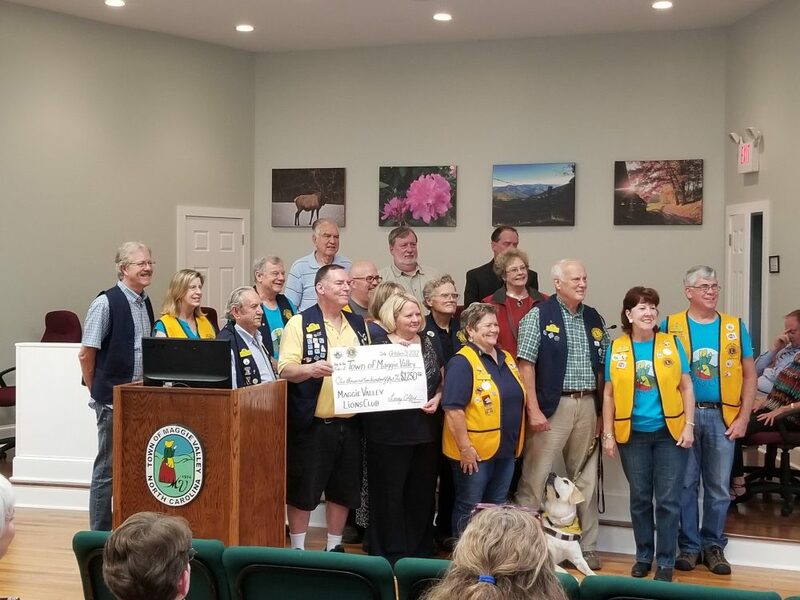 Maggie Valley Lions Club makes a donation for our Sensory Garden to be located in the Mary Rathbone Rich Park! 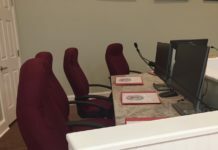 Read the article and listen to a report from the Community Meeting held at our Town Hall Pavilion in August 2017.